Worldwide Lawyers are excited to announce that we will once again be exhibiting at A Place in the Sun Live and will be back to the Birmingham NEC from 23rd – 25th September 2016. A Place in the Sun Live is the official exhibition of the overseas property TV programme. If you are thinking of buying a property abroad, there is no better place to undertake the research required to out your plans into action. The exhibition is the perfect place to get the help and advice you need from industry experts to equip yourself with the information you need to successfully purchase your very own place in the sun. Not only will you find private sellers, estate agents and developers to help you find your perfect place to find your holiday home, investment property or retirement pad abroad, but also lawyers, financial advisors and currency experts who can all help your purchase as smooth as possible. Free buying advice for purchases in Spain, France, Italy, Portugal, Greece, Turkey and Cyprus. A chance to hear from and meet the stars from the A Place in the Sun TV series Amanda Lamb, Jasmine Harman, Jonnie Irwin and Laura Hamilton. Exclusive show offers and discounts. 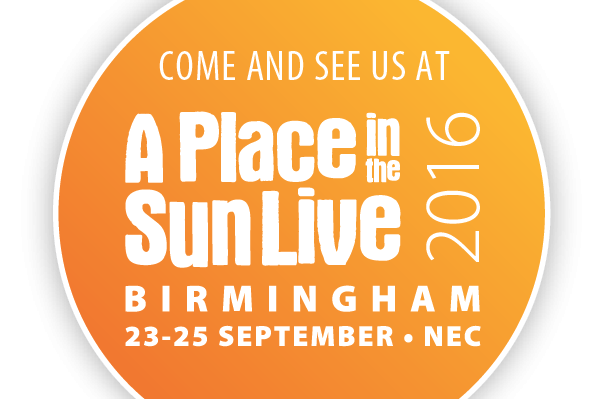 And that’s not all….Worldwide Lawyers are currently able to offer some FREE tickets for the A Place In The Sun Live exhibition at NEC Birmingham on 23rd -25th September 2016 – all you need to do is click on the A Place in the Sun picture bar below. So why not come and see us at A Place in the Sun Live and see how we can help with your overseas legal needs! WE WILL BE AT STAND C21.